Add our printable favor tags to your favors to say "Thank you" to your guests. These favor tags print 12 per page and are 2" squares. 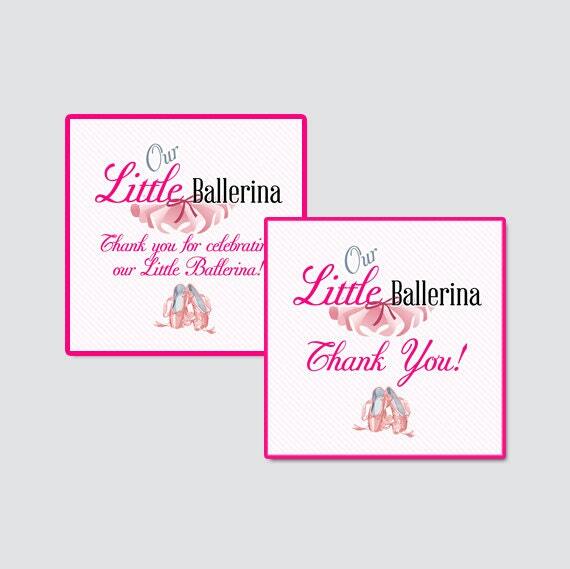 There are two wording phrases that you can choose from - "Thank You" or "Thank you for celebrating Our Little Ballerina." You get both files and can choose which to download and print.